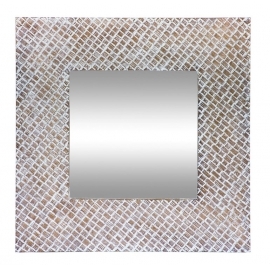 At Bathroom Tech our Art Deco wall mirrors online are now available in many different designs. From contemporary to traditional, you'll now be able to find a mirror which suits your home and tastes perfectly. Please browse our wide range of mirrors online. Art Deco Wall Mirrors Please click on images to view our full range. Whether you need traditional rectangular mirrors or modern rectangular mirrors, browse our online store to choose the mirror to suit your decor. Whether you need traditional round mirrors or modern round mirrors, browse our online store to choose the mirror to suit your decor. Gubi is rooted in Scandinavia but with a distinctive global outlook - and sense of aesthetics. The result is an eclectic, intercontinental collection that blurs the lines between the past and the future. When you are looking to add that little bit extra to your bathroom design there is sure to be something that suits you from our extensive illuminated mirror range.